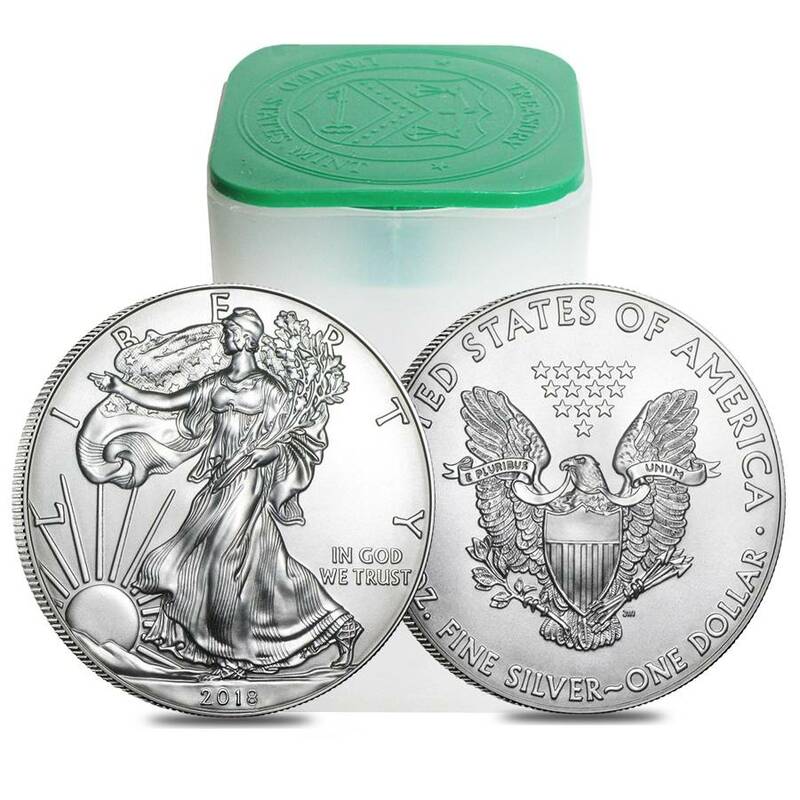 This Roll of 20 - 2018 1 oz Silver American Eagle $1 Coin is the latest release in the legendary Silver American Eagle series from the U.S. Mint. The Silver Eagle series was introduced by the US Mint in November 1986. 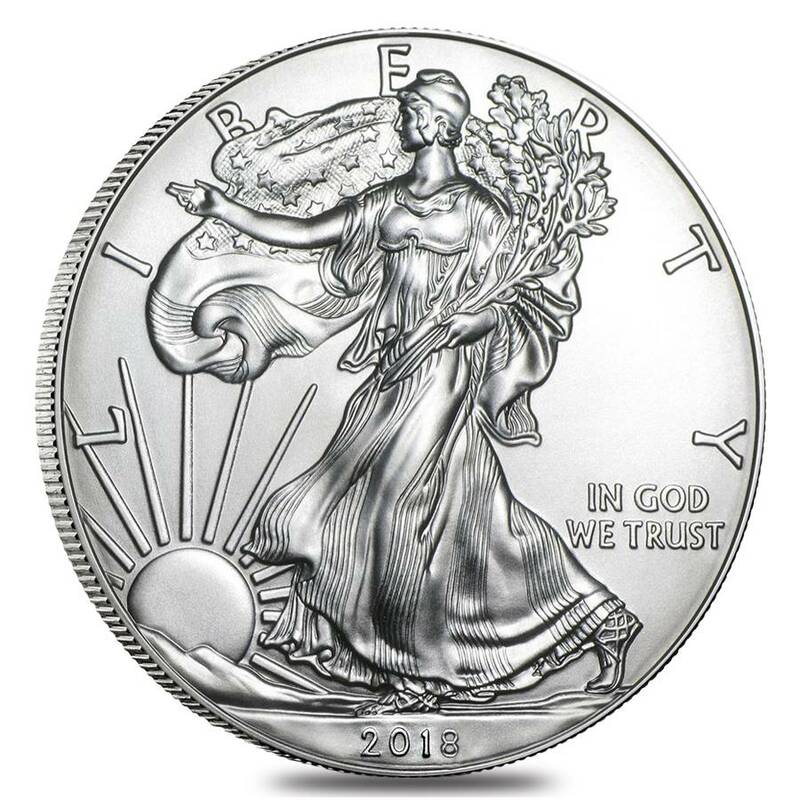 Since its debut, this coin carries the iconic design originally created by Adolph A. Weinman for the 1916-1947 half dollars - the gorgeous Liberty confidently walking towards the sunrise. This beautiful coin presents the finest American traditions: patriotism, equality, and freedom, and is the official US silver bullion coin. 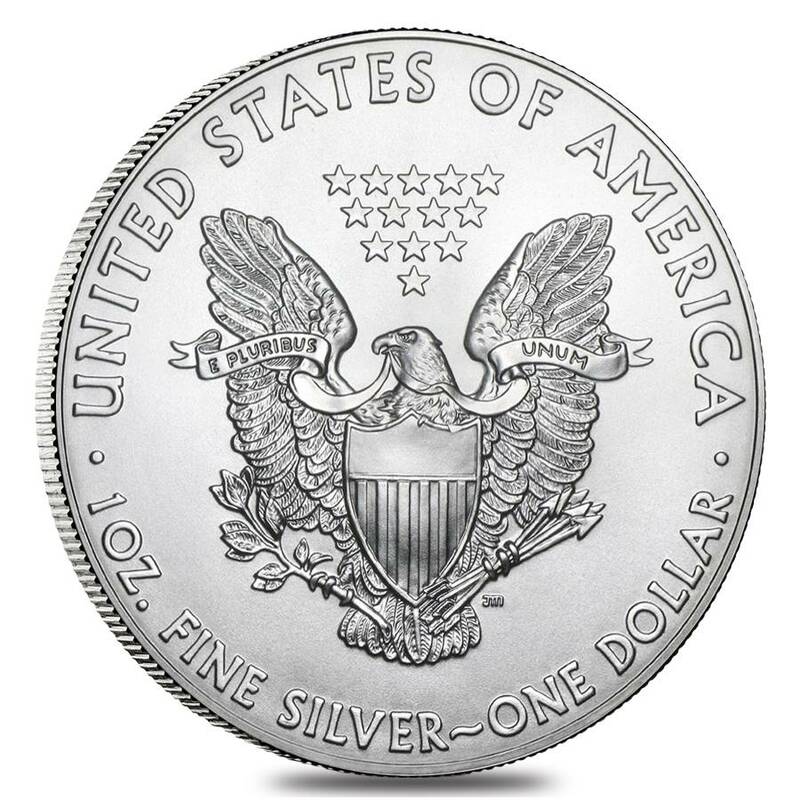 American Eagle is considered as one of the most beautiful coins on the market and produced in only one weight option - 1 oz. These exceptional and timeless coins are a treasured addition and a sought-after piece for any precious metals portfolio. Lot includes twenty coins, each individual made from .999 pure silver, with a weight of 1 oz. Minted by the prominent US Mint. All coins are struck in Brilliant Uncirculated condition. Each coin comes with a $1 USD face value. Eligible to be included in IRAs. US legal tender coins guaranteed by the US Government. Obverse: Showcases the renowned Walking Liberty design, courtesy of Adolph A. Weinman, representing the graceful Lady Liberty moving towards the rising sun while holding a laurel oak in her left hand and with her body wrapped in the US flag’s folds. This beautiful image is encircled by the engravings “Liberty,” “In God We Trust” and 2018”. 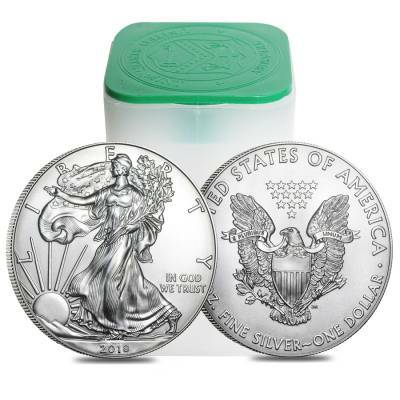 Bullion Exchanges offers you an amazing collection of iconic bullion pieces struck by renowned mints. Add this impressive Lot to your portfolio and it will be delicately packaged and shipped to you in no time. If for any questions, call us at 800.852.6884, we will be happy to assist you. Everyone should have at least one American Eagle in his collection. Great condition, it really does look great. Cannot wait to get my coin. Good price for this lot.